The daughter of a prominent Turkish businessman and a group of her friends were among those killed when the plane went down in western Iran. The private jet was bringing them home from a bachelorette party in Dubai. 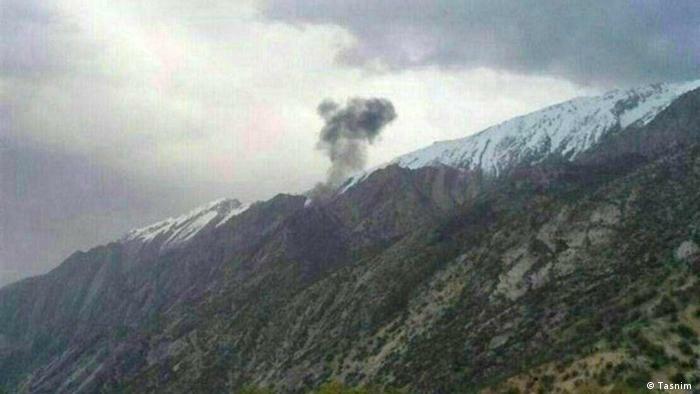 Emergency services confirmed Sunday that all 11 people on board were killed when the jet crashed into a mountainside in Iran’s remote Zagros range during bad weather. The eight passengers and three crew members were all women. Media reports said the victims included Turkish socialite and bride-to-be Mina Basaran and seven of her friends, who were returning from celebrating her bachelorette party in Dubai. The 28-year-old was due to get married next month. The plane was on its way from Sharjah in the United Arab Emirates to Istanbul when it disappeared from the radar about 70 minutes after entering Iranian airspace. A recovery effort was underway at the crash site, but officials said heavy snow and rugged terrain was hampering their progress. The head of Iran’s Red Crescent, Morteza Salimi, told state television that two helicopters would fly to the area on Monday morning “to search for the plane’s debris and bodies,” adding that there were no survivors.